FURNISHING A 15,000-SQUARE-FOOT, four-story mountain home can present problems in decision-making. But for Kay Creech, the answer was simple. She purchased an antique store in Hamilton and moved the gorgeous furnishings to her new home on the slopes of Big Mountain at Whitefish Mountain Resort. Built in 2007 by builder Gary Ince of Stevensville and designed by Gavin-Hanks Architectural Studio of Missoula, the four-story lodge rests comfortably on the flanks of the lower mountain, 1,500-feet above the floor of the Flathead Valley. Kay stands by the massive windows in the great room, waving to skiers riding within a snowball’s throw of the slow-moving Tenderfoot chairlift along the beginner runs of chair 3. 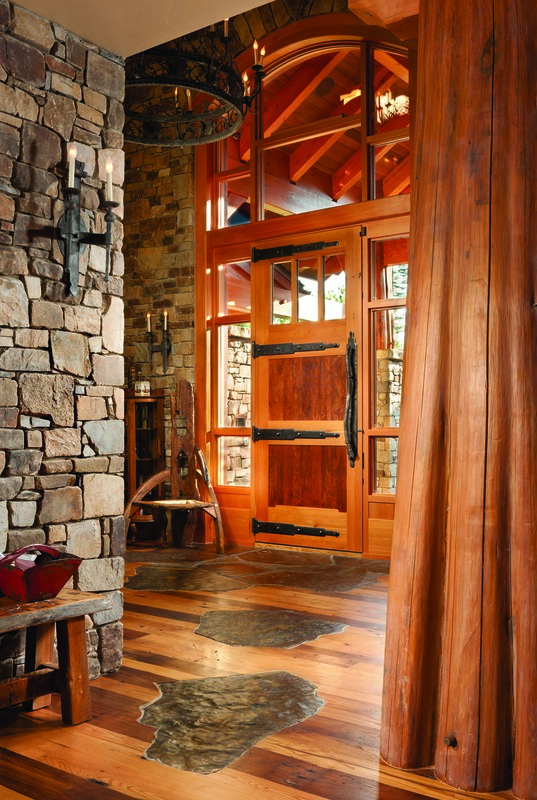 Changing light from the moving mountain clouds dances off the recycled chestnut wood flooring and custom alder doors. Earlier in the day, Kay had cut short a home-school lesson for her 12-year old son, opting for education in the physics of powder skiing after a 7-inch storm. It’s easy to drop the school books and click into bindings when the chairlift sits right outside your door. Sitting with Kay at the large, circular dining table in the center of the open kitchen area it’s easy to picture it as the center of energy in this mountain retreat. Although the house is quiet now, I can almost hear the drum and the bass of her husband Randy’s band that had set up to rehearse last weekend in the living room, the laughter and burst of song from guests, the crackle and pop of the fire adding subtle rhythm. “It’s hard to believe we can have so much fun here,” says Kay, who exudes an electric energy that a home of this size requires to handle. This is not to say that her spark is explosive, just that her laugh needs enough space to bounce from wall to wall, smolder and try to escape into the mountain air. Her other five children are grown and have families of their own, so plenty of space for grandchildren and other guests was the impetus for the creation of a space that invites gathering on a grand scale. Builder Gary Ince took the challenges of mountain construction in stride, engineering floor and occupancy loads matching commercial criteria rather than usual single-family home requirements. 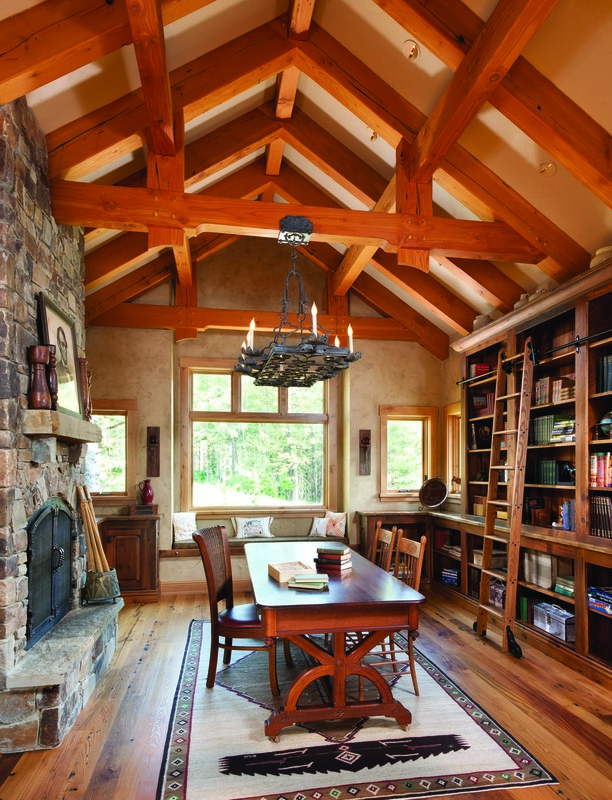 Working closely with Mike Koness of Centennial Timber Frames to incorporate essential log and timber elements, Ince customized the Creech family’s requests for their home. Touch screen control panels on each level allow for simple operation of the complex systems. With one touch, Kay can turn off lights in the entire house, or leave guest spaces on manual control. 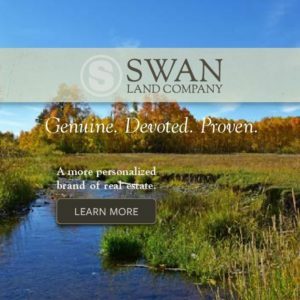 One of the main focuses of the architectural design was to maximize light and capture views to the mountain village and the craggy peaks of the Columbia and Swan Mountain ranges and Great Northern peak to the south. Ski-in, ski-out access was also paramount, but also designing it to be just as easy to enjoy the home in the summer months after hundreds of inches of snow melts to feed blooming wildflowers. Whitefish’s landscape architect Bruce Boody used his intimate understanding of the local climate to landscape in an alpine elevation with native trees and vegetation, totaling more than 2,000 plants. 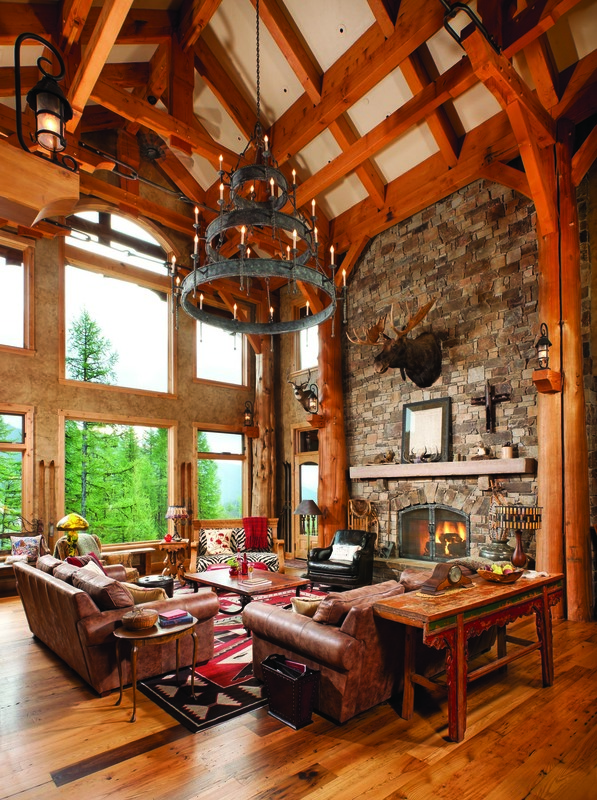 The natural columns of peeled cedar trees support timber framing by Centennial Timberframe of Kalispell. Refurbished barn beams were cleaned and milled to give old West character to the interior roof structure. Cabinetry and interior shelving was constructed by Bear Paw Custom Wood Works of Stevensville, using refined 150-year-old antique barnwood. While the scale is large, the layout is geared to encourage family and friends to visit the home and still have their own privacy. With seven bedrooms including a 12-bed bunkroom, it’s easy for guests to spread out and relax in their own nook — complete with soaking tubs, fireplaces, wet bars, private decks, kitchenettes and laundry on every floor. There’s also a sauna, hot tub, ski locker room, library and 3-car garage. Jump in the elevator if your legs are too worn out from a day on the slopes. The entire top floor gives the homeowners an equally private living space. 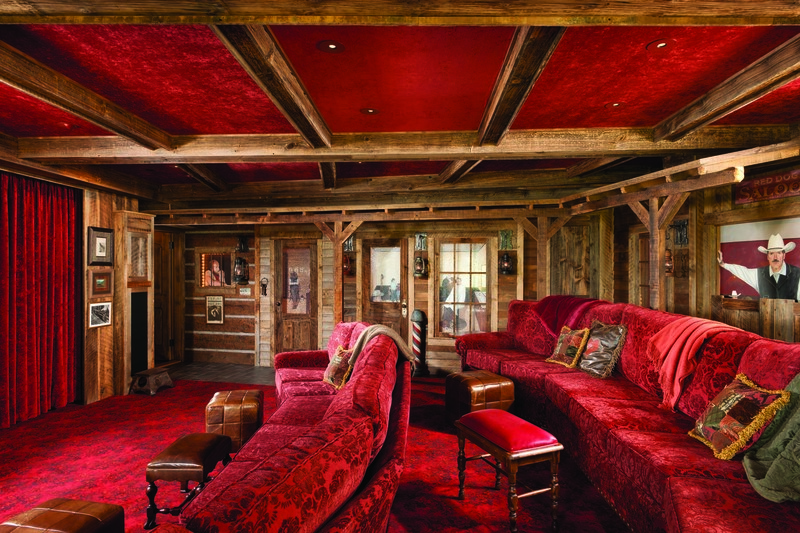 Each bedroom is named for a ski run on the mountain by ability level, but the extreme relaxing happens in the sound-proofed Western-themed theater room with a 120-inch projector screen and huge comfy seats that will likely have you asleep before the movie begins. The old Western town façade that surrounds the plush room is a reminder that the old-school values of gathering with family and friends remains alive in this age of advanced technology. But like any home filled with laughter and love, the central gravity pulls visitors back to the open kitchen where Kay will put you to work, chopping vegetables in the communal ritual of sharing a meal together. 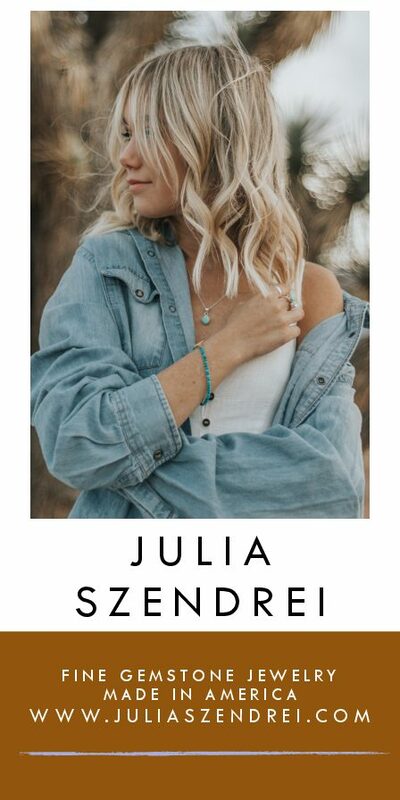 She recently hosted guests from the Wounded Warrior Project, which helps severely injured service members during the transition to civilian life. Furniture-style cabinetry was crafted by Bear Paw Custom Wood Works using antique barn wood and custom hand-forged hardware by Trapper Peak Forge. The antique library offers a fireplace, in-floor port for computer and audio for home, iPod and satellite radio. 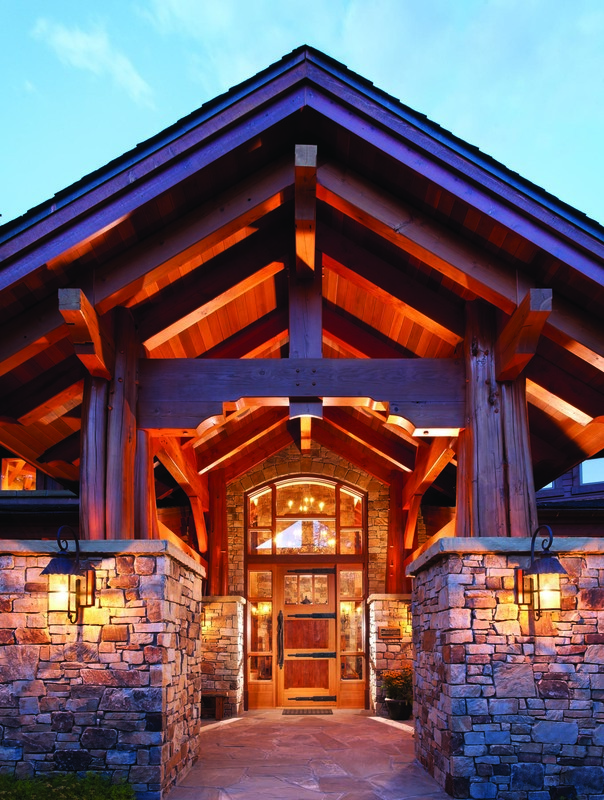 Chief Cliff Masonry, Centennial Timberframe and Iron Mountain Slate combine for an elegant heated entryway. The theater room is wrapped with a sound-absorbing membrane and ceiling panels, while the curtains and Western town décor were engineered to provide the best acoustics possible. River rock stepping stones lead from the alder entry door custom made by Gary Ince Construction. The locksets, hinges, and hardware were custom built by Trapper Peak Forge. 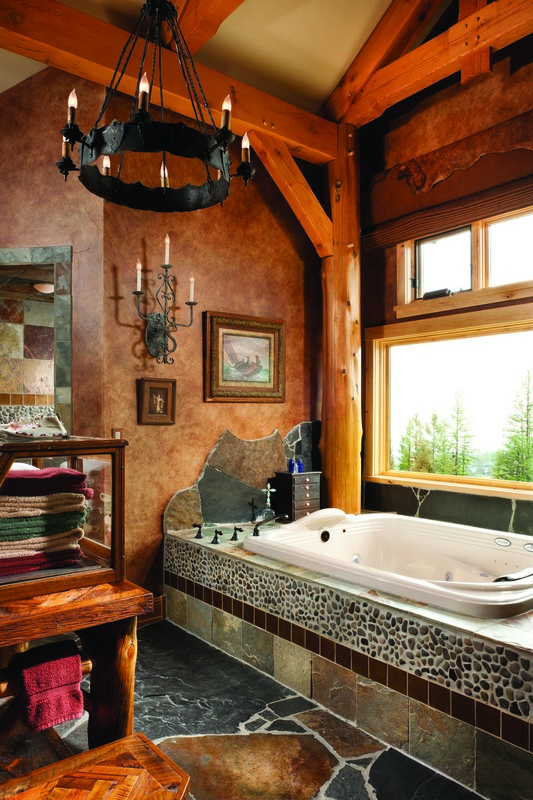 The master bath offers a Millennium Aquatic 2-person jetted tub and radiant heated floors.